If you’ve just bought a camping and/or caravanning site, then you’ve probably got a few ideas about how to make it more profitable (or profitable at all if you’ve bought a failing business or just started one from scratch). There’s certainly a great opportunity in this sector. Annual growth in domestic and overseas stays was higher last year than at any time since data was first recorded in 1998, according to Tourism Research Australia. So what are the key factors in tapping into this burgeoning demand? Providing more amenities for caravans and motorhomes could be a sound investment. If you’ve acquired a site that caters predominantly or solely to campers, then you’ll be intrigued to hear that registrations of new caravans are growing faster than for any other vehicle type – growing 30% since 2011, while RV/motorhome registrations have leapt 20%. Depending on the local market, costs involved and your budget, it’s therefore potentially a good idea to install more powered pitches. 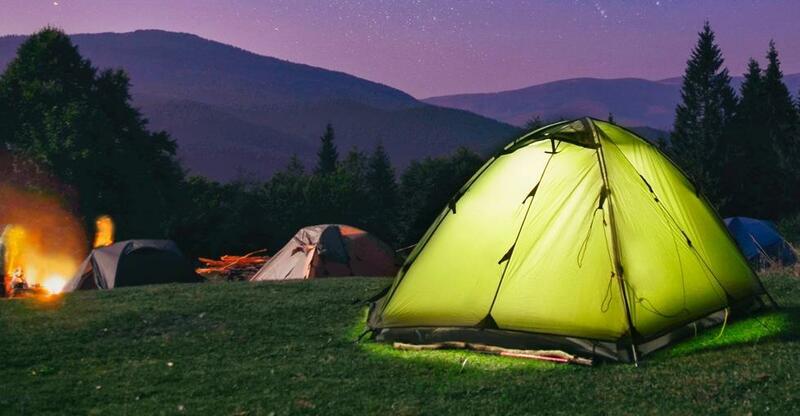 You can charge more than for a tent pitch and it’s much cheaper than building cabins. For obvious reasons, caravanners are also more likely than campers to stick to travel plans in adverse weather conditions. Most campers want the same thing: a clean, safe, tranquil, spacious site in which to relax with friends and family. Are you providing these things to ensure positive online reviews and a high return rate? Amenities. Before you install expensive new amenities, are you getting the most out of what you already have? Having consistently clean, functioning bathroom blocks and kitchen facilities will get you a higher average star rating on online reviews, for instance. Security. Peace of mind is a big plus for holidaymakers. Safe and secure toilet blocks with good lighting (that doesn’t disturb sleep) will get the thumbs up. Landscaping. Well-kept lawns and manicured grounds are an easy win and keep your site looking clean, tidy and cared for. Social area. Camping is a sociable activity. Do you have an attractive space for visitors to enjoy when they’re not out sightseeing? Providing a roofed BBQ area or even going the extra mile with a clubhouse can make a real difference to customer experience. Local tourism. Shout about the attractions in your local area, providing leaflets in reception and offering guests directions and tips on the best daytrips. A shuttle bus to the nearest town is a great little add-on for campers. There’s plenty of scope for reciprocal promotion with other tourist-related businesses in the area – you could offer wine tours from the site in partnership with a wine-tour company, for instance. You’ve spruced up your site, got the right balance of tent and caravan/motorhome pitches, and improved links with other tourism businesses. You’re all set to embrace some happy holiday-makers. So how do you let people know you’re open for business? Websites. These days, most people make their holiday plans with the assistance of Google. Never has it been more important to have a professional-looking website, showcasing the site, its amenities and surrounding landscape with plenty of high-quality photographs. It’s also imperative that you optimise a free Google business listing. Listing and review portals. Get listed in as many tourism directories as you can, as well as on websites like Stayz and FindaCamp. It’s also important to keep an eye on rating sites like TripAdvisor in order to monitor, respond to and learn from customer feedback. Tourist information centres. Many campers’ first port of call is the local tourist information centre. Leave a few attractive brochures there for people to pick up. Signage. Are there clear directions to your campsite from main roads – perhaps even a billboard to really grab attention? Social media. Are you using Facebook to promote your business? Setting up a business page and targeting holiday-makers with compelling and engaging advertising is a good way to beat the drum. Professional-standard photography is, again, a must, and Facebook is a good forum for announcing special offers and the renovation or introduction of amenities. Finally, are there any ‘thinking outside the box’ ideas? For example, you could exploit the ‘glamping’ trend, providing camping for people who don’t necessarily like camping, or offer discounts to the huge ‘grey nomads’ market. A clean, functional, well priced site is only half the battle won when it comes to making a success of your camping and caravanning site. It’s time to think about the little extras if you really want to take your business to the next level. Interested in buying a camping site? Read our guide to buying a campsite and take a look at our camping and caravan sites for sale.